Canadians are eating less beef, drinking less milk and soft drinks, and eating more flour-based carbs than they did 50 years ago, food data analyzed by CBC shows. Canadians are eating less beef, drinking less milk and soft drinks, and eating more flour-based carbs than they did 50 years ago, according to data analyzed by CBC News. A more diverse population, changing health trends and a globalized food chain have changed Canadians' palate in ways unimaginable in the '60s. "When you look at demographic changes, economic changes, trade changes and health messages, you understand food changes," said Malek Batal, a professor of public nutrition at the University of Montreal. But supply tends to follow demand, and changes in food availability hint at changing consumption patterns. "It's an indirect indicator of consumer trends," said Evelyn Park, an analyst at Statistics Canada who studies food data. Here's what 50 years of food availability says about changing preferences. Potatoes have been Canadians' largest source of carbohydrates for most of the the time covered by the data, with roughly 70 kilograms of spuds, on average, available per person. But this changed in the mid 2000s, when wheat flour caught up. There is now about the same amount of either source available, although both are on a downward trend. But Canadians have been eating fewer potatoes since the 1930s, Batal says. "It shows how much the Canadian meal has changed. A typical meal was meat and potatoes. 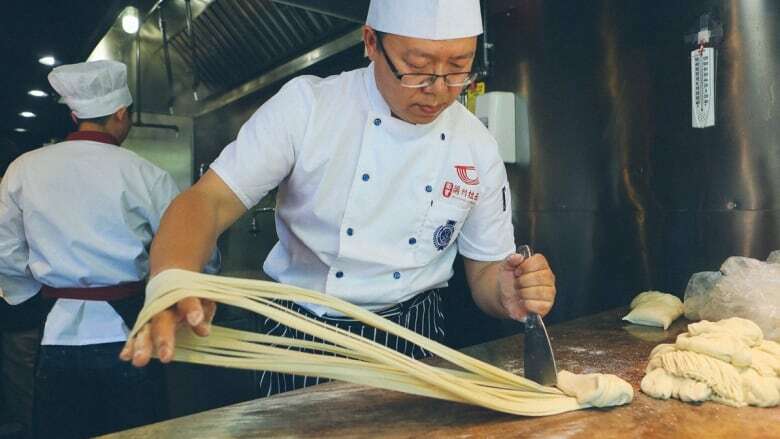 With the changing cultural makeup of Canada, this might have evolved to pasta," he said. Changing demographics, like immigration from Asian countries, could also be responsible for another carb shift: In 2004, rice overtook corn as a distant third largest source. The '70s were a golden age for beef, with close to 37 kilograms available per Canadian. Today, it's less than half of that, and it appears set to keep falling. Its loss is chicken's gain: There are 25 kilograms of chicken and turkey meat per Canadian these days, the largest of the meats. "Beef is premium protein. It's very expensive," says Sylvain Charlebois, dean of the faculty of management at Dalhousie University in Halifax, and a professor in food distribution and policy. But there's more than price discouraging beef consumption, he added. "There are environmental issues and health issues around beef," he said. "I can't remember a single study encouraging people to eat more beef. "But chicken is a cheap protein, it's supply-managed, and the quality is there." Two decades ago the banana, a fruit that hardly grows north of Guatemala, overtook the domestic apple as the most plentiful fruit in Canada. "The banana supply is constant through the year and it's much cheaper," Batal said. But convenience of transporting and eating it is a big factor for its success, Charlebois added. "It's a perfect produce," he said. "It has a natural envelope, so food safety is never an issue. It's portable and you can eat it quickly." He thinks Canada's aging population also has something to do with it. "Apples can be hard for older folks to eat," he said. One food category that saw very little change in 50 years is vegetables. Salad staples like tomatoes, carrots, lettuce and onions have dominated market shelves. But although their numbers are still comparatively small, other vegetables have made modest gains, like spinach, asparagus, broccoli and rapini. Once the most abundant fluid in the country, beer has fallen to a distant second. This is the age of coffee, thanks to the popularity of chains like Tim Hortons, Starbucks and Second Cup. But along the way, between 1990 and 2004, soft drinks dominated. It was a short-lived high, as Canadians now shun sugary drinks for health reasons. "If you look at beverage companies, they're focusing on the developing world now," Batal said. "They realized the market reached a plateau. They'll have to look elsewhere to grow." What is growing in Canada is wine. In fact, it overtook orange juice 10 years ago in litres available per Canadian. And this isn't only a result of globalization. Canada is getting better at making wine, Charlebois said. "There's a lot of research now to make sure [the] grape industry is well supported," he said. "Our vineyards [are] becoming more efficient. Here in Nova Scotia, more people are drinking Nova Scotia wine." There used to be more than 70 litres of full-fat milk for every Canadian in 1960. Today, there's about 10. It's not just a fat issue. Even two- and one-per cent milk are on the way down after having their heydays. "These are also changes in dietary habits. Canadians used to drink milk with their meals," Batal said. "But the biggest dietary fads in last 10 years have been two things: dairy and gluten, with people saying we're not cows, that we're not supposed to be drinking milk." The greater availability of substitutes like almond and soy have been eating into milk's former share, Park said. Although Statistics Canada doesn't have data on these drinks, numbers from the U.S. hint at what's happening here. Between 2011 and 2014, almond milk sales grew by 250 per cent, while cow's milk fell by seven per cent. The charts above show the largest foods by quantity, but they hide less popular foods that nonetheless saw big growths over the years. When you look at the percent change since 1980, a picture of dietary fads emerge. Canadians didn't care much for blueberries and cranberries a few decades ago, when only a third of a kilogram was available per person. Thanks to their recent fame as superfoods packed with antioxidants, there are more than two kilograms of each for every Canadian. Canadians are also consuming more refined cheeses, classified as "variety cheeses." Today there are eight kilograms available per person, from 0.6 in 1960. 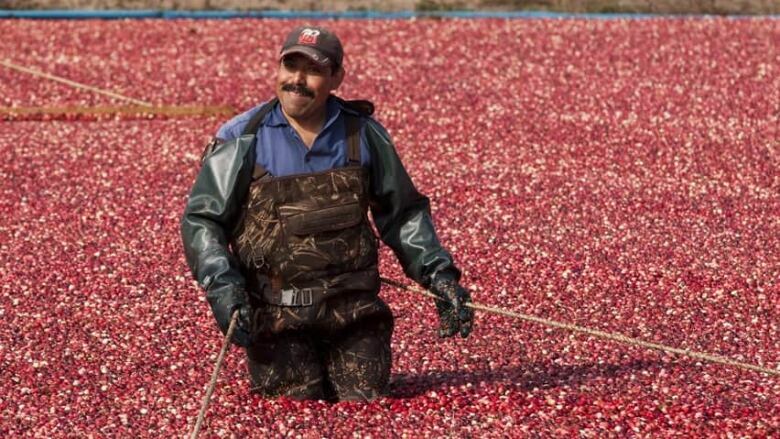 "Cranberries have been embraced as an ingredient. 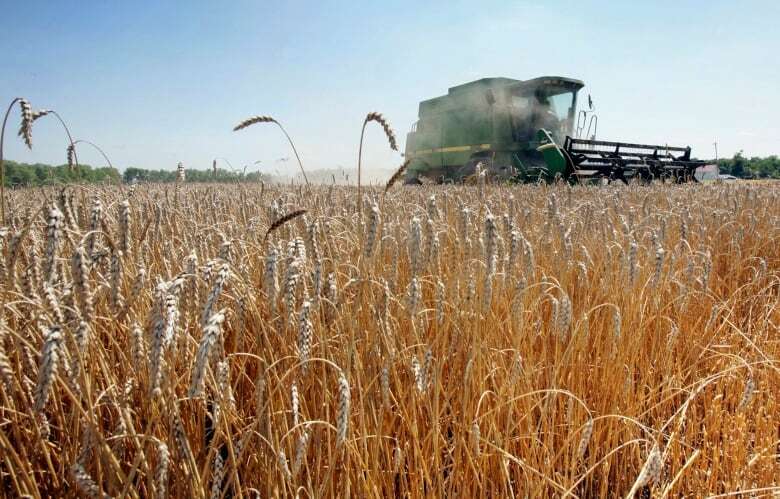 Many commodities go through that cycle," Charlebois said. "First it's seen as a product then as an addition to other products we know, like pies, sauces and juices." Among fluids, table cream saw a phenomenal growth of 1,230 per cent in litres per person since 1980, followed by yogurt. "We've seen the popularity of milk byproducts going up," Charlebois added. "We've seen shifts in consumer trends, where people re-embrace natural fat." The data source is Statistics Canada table 32-10-0054-01. To find the total quantity per year of each food, subcategories of produce were added together. 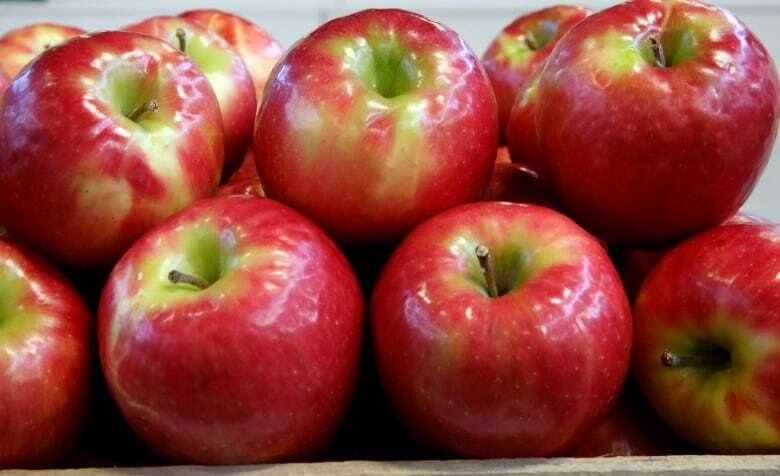 For example, the total quantity of apples per year is the sum of frozen, fresh and dried apples. For consistency, only the fresh equivalent weight of produce was used to calculate the quantity over time. The Python code used in the analysis is available on GitHub.